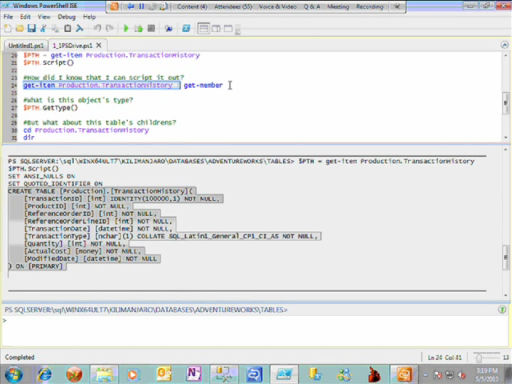 If you've used Language-Integrated Query (LINQ), you've seen the power and flexibility of the IEnumerable interface. Sadly, this "pull" approach breaks down in asynchronous and event-driven environments. 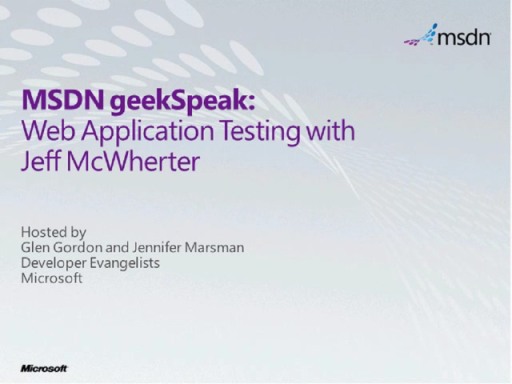 In this geekSpeak, LINQ guru and author Jim Wooley introduces us to the Reactive Extensions for Microsoft .NET and shows how to make event-driven asynchronous programming easier and more declarative by using the Reactive Framework and LINQ to Events. 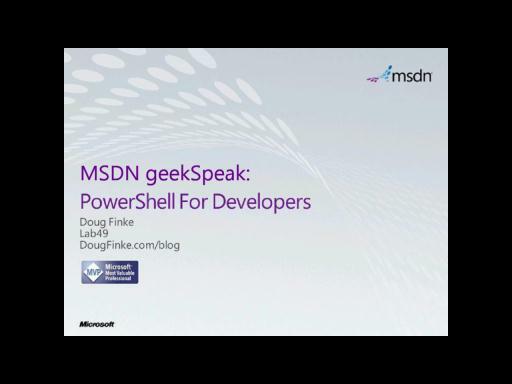 This geekSpeak is hosted by Glen Gordon and Peter Laudati. 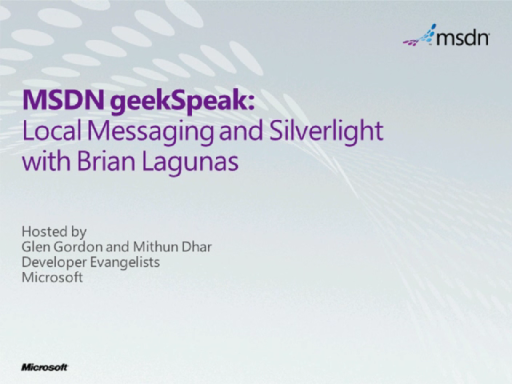 The geekSpeak series brings you industry experts in a "talk-radio" format hosted by Microsoft developer evangelists. These experts share their knowledge and experience and answer your questions during the webcast. 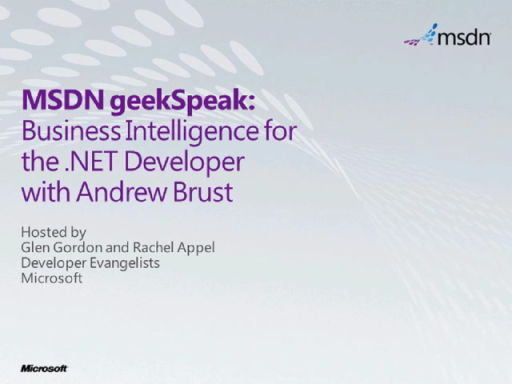 Visit the geekSpeak blog for resources or to ask a question before a live webcast. Jim Wooley is a technology consultant with Slalom, a frequent speaker, a member of the International .NET Association (INETA) Speaker Bureau, a Microsoft Most Valuable Professional (MVP), and an author of LINQ in Action (Manning Publications, 2008). He is always striving to stay at the forefront of technology and enjoys the thrill of a new challenge. 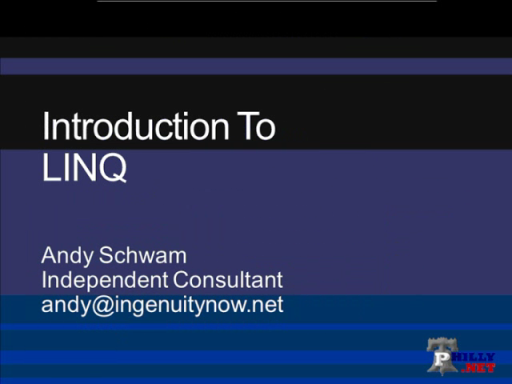 Jim has been actively evangelizing about LINQ since its announcement in 2005. In addition to speaking at numerous user groups and code camps in eight states, Jim has presented at product launch events, Microsoft Developer Network (MSDN) conferences, regional conferences, Visual Studio Live!, DevWeek, and TechEd.